When using this website, You agree to the usage of these cookies. 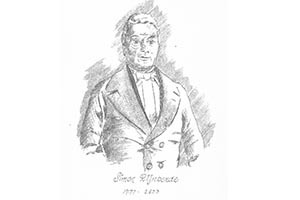 This website is dedicated to Simon Rijnbende who, in 1793, at the age of 16 years, started a distillery at Schiedam. 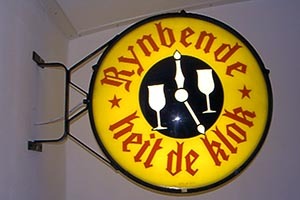 Somtimes people ask me: "The Rynbende company does not exist anymore. So why taking the trouble building a website?" 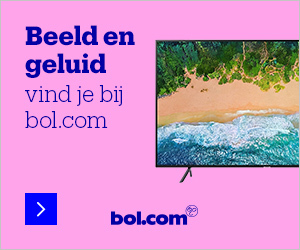 Well... My name is Wouter Rijnbende. 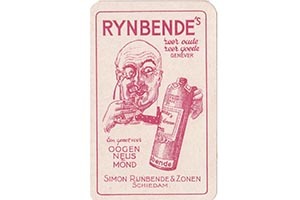 And, seeing my lastname, there is the relation to this Simon Rijnbende. When I was a litte boy, my parents took me on holiday to Belgium. 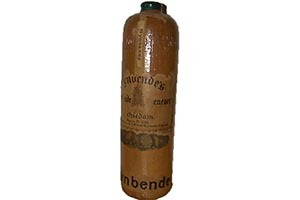 There I found a three edged bottle that held my own lastname: Rynbende. 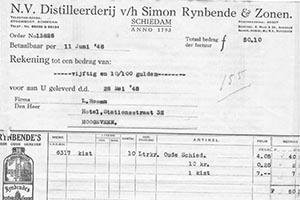 It was the beginning of my search wanting to find everything there is to know about the company that one of my ancestors founded, and preserving all this information for our future, sharing it with you. 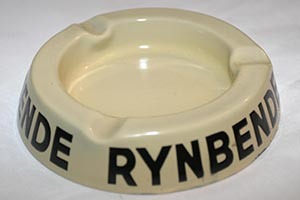 Please take a closer look in the world of Rynbende, see how it all started and what collectibles have been issued during the years. Click on the pictures below to navigate to the sub pages of this website (also available on mobile devices). 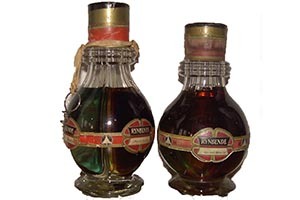 Simon Rynbende was an enterprising young man, who, at the age of 16, founded a distillery at Schiedam. 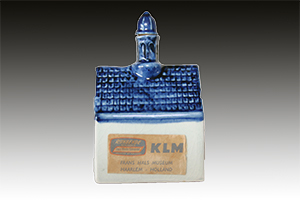 KLM Miniatures were issued to businessclass passengers on KLM flights. 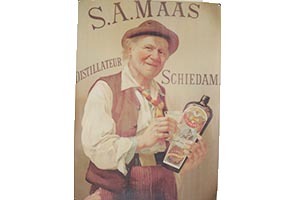 But also read more about special houses, like the Frans Hals museum. 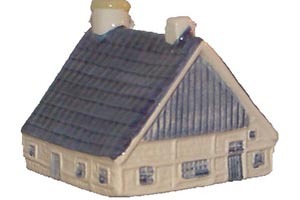 Besides KLM houses, there was a set of six typical Dutch Farmhouses. 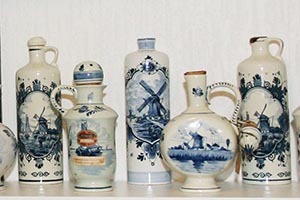 Delft Blue miniatures, windmills, figurines, jugs etc. 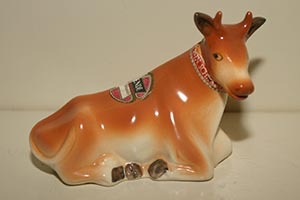 A lot of bottles were issued as hand blown glass animals. 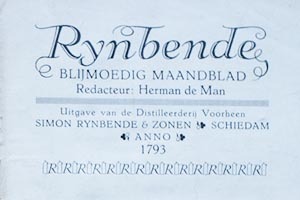 A.D. Copier was a famous Dutch glass designer who designed the three edged bottle for Rynbende. 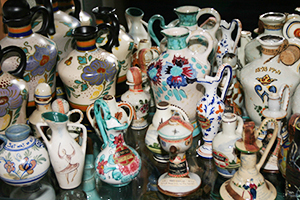 All kinds of stoneware bottles from the Rynbende company. 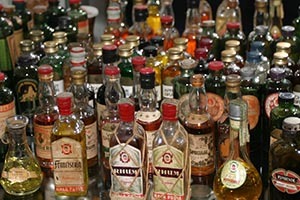 The miniature bottles are collected by collectors all over the world. 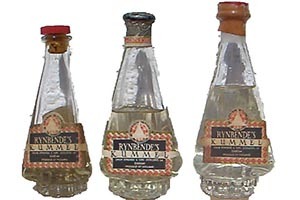 Imagine how they were able to fit four different kinds of liquor in just one bottle. I have been able to trace quite a few decks, but am still searching from some. A drink comes with a smoke. 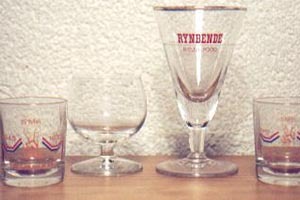 From shotglass to even longdrink glasses. 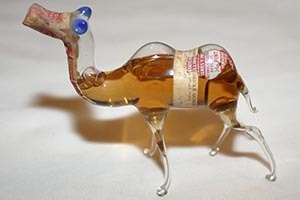 Animals as bottles, containing liquor. 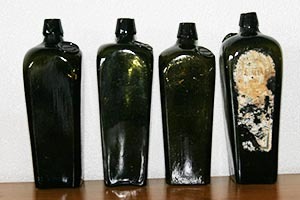 Miniature bottles were collected by many people. But, who collects paperwork? Most of it was thrown away. Seeing hundreds of labels, I will be busy collecting for a while. 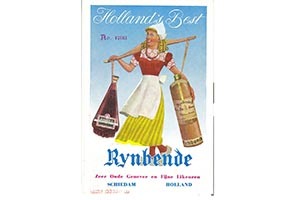 As from 1928 Rynbende had it's own magazine. Before we had e-mail, we used to send greetings by postal services. 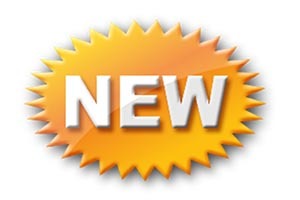 Containing a chronologic overview of recent updates in this website. 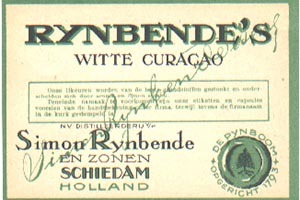 Last but not least, a page which has nothing to do with the Rynbende company. 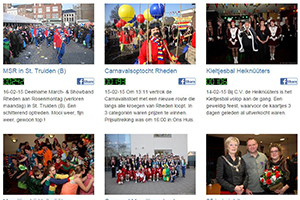 It's another hobby of mine, taking pictures at events in my hometown Rheden. 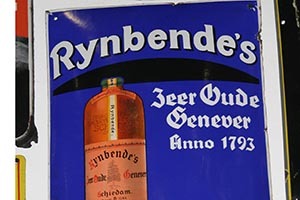 If you have any questions, if you have information or bottles that you have not found on my website, if you have pictures of Rynbende bottles you want to share with us on my website, please feel free to contact me at wouter (@) rynbende.com.